WESTMONT, IL--(Marketwire - April 29, 2008) - Business Only Broadband, the largest fixed wireless broadband provider in Chicago and New York, has announced its newest product -- WiMan FinanceConnect™ Platinum -- which provides sub-millisecond latency network solutions to the financial sector. "In recent tests between Evanston, Ill., and a critical financial data center 14 miles away in Chicago at 350 E. Cermak, we saw sub-millisecond latency," said Christopher Craven, COO, Business Only Broadband. "We expect even lower latency from the key financial exchanges in Chicago. We already see similar results to one of the key financial data centers in New York at 111 8th Avenue." "Low latency is critical for the time sensitive trading applications of the financial sector," said Richard Kingston, CEO of Business Only Broadband. "This is truly a scenario where time is money." To help launch WiMan FinanceConnect™ Platinum, Business Only Broadband announced the hiring of Allan Graham as executive vice president of business development. "I am delighted to be part of this exciting new business that provides solutions that address the real technology needs of the financial services market," said Graham. "The offerings combine the performance improving aspects of low latency communications with diversity and high availability. These attributes are highly valued by the financial community." Graham comes to Business Only Broadband from the NYSE, where he was senior vice president, corporate development. In his new role, Graham will be part of Business Only Broadband's management team in the New York City office and responsible for identifying strategic partners in the financial services market. During his four years at NYSE, Graham managed the technology services business unit of NYSE Group with responsibility for product management, sales, marketing, administration, finance, alternate channels and alliances. Previously, Graham was with Comdisco for 14 years holding senior roles in service delivery, product and business development and general management. 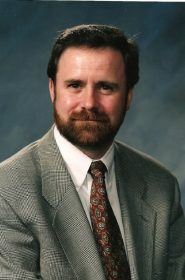 At Comdisco he planned and executed "go-to-market" strategies for business lines and was instrumental in growing disaster recovery/business continuity services across North America and Europe. For more information on Business Only Broadband, phone 877-627-5262, email sales@BusinessOnlyBroadband.com, or visit www.BusinessOnlyBroadband.com. Chicago area-based Business Only Broadband, provides carrier class, 100 percent diverse wireless Metro Area Networks and Extranet Solutions to the financial sector and large enterprise clients. Business Only Broadband has built the largest wireless broadband network in Chicago and is currently opening service in New York City. Led by a veteran industry management team, the company offers 100 percent diverse service with no common point of failure with the LEC or CLEC network in addition to QOS, MPLS, Metro Ethernets, Private Networks and City-to-City connections. Visit www.BusinessOnlyBroadband.com for more information.